Zinsser Cover Stain® makes light work of unwanted graffiti – it primes and seals the affected substrate in one, preventing stains from resurfacing. All surfaces must be clean, dry and free from anything that will interfere with the adhesion of the materials to be applied. Remove loose and failing material by scraping or brushing with a stiff bristle brush to a sound edge. Feather sound edges with a fine grade abrasive paper. 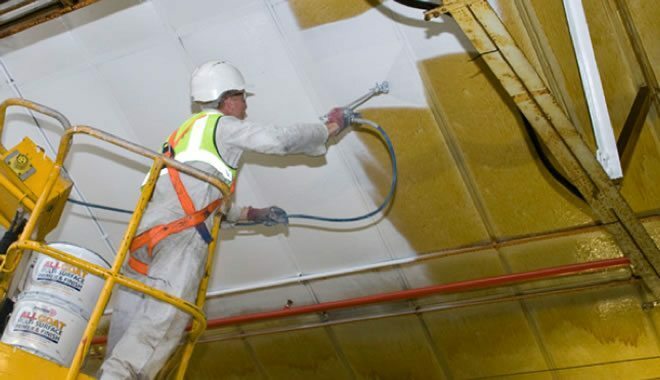 Prior to painting, the moisture content should not exceed 18%. Remove all dust. Remove all visible signs of organic growth and treat the areas with Zinsser Mould Killer in accordance with the manufacturer’s instructions. In areas with sound paint clean down with Zinsser Universal Cleaner & Degreaser to remove any contaminants. Rinse thoroughly with clean water to remove all residues. Allow to dry. Fill any cracks and small surface defects with a suitable filler in accordance with the manufacturer’s instructions. Allow to dry. Rub down with a fine grade abrasive paper. Remove all dust. Prime all areas of graffiti with one full coat of Cover Stain® Primer Sealer in accordance with the manufacturer’s instructions. Allow a minimum drying time of two hours in normal drying conditions. Decorate with two full coats of AllCoat® Exterior Satin or Gloss in accordance with the manufacturer’s instructions. Allow a minimum of 1 hour between coats. Note: graffiti can be water soluble or solvent soluble therefore some areas may need a coat of Bulls Eye® 1-2-3 Primer Sealer if graffiti bleeds through Zinsser Cover Stain Primer Sealer.